John received his B.S. Degree in Accounting, Master of Business Administration Degree and Master of Science Taxation Degree from DePaul University. He is registered to practice as a Certified Public Accountant in the State of Illinois. He has practiced as a CPA for over thirty years including service with Kenneth Leventhal & Company (now Ernst & Young) in Chicago, Illinois. 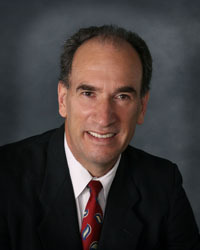 John joined David J. Miller & Associates, LLP in 1992. His areas of concentration include income tax planning and research, with special emphasis in the real estate and partnership areas. John was born in Chicago, Illinois. He is married to Pat and they reside in Park Ridge, Illinois with their two sons, Mark and Todd. His leisure time includes tennis, basketball, working out, music and reading.